Over the past four years, the FLEXICIENCY project has been intensively working towards the modernisation of the European electricity grids and retail market to better enable a low carbon electricity value chain. FLEXICIENCY has ensured that the 5 large scale demonstrators in Italy, France, Spain, Sweden and Austria are fully operational and is in a position to show that the deployment of efficient novel services in the electricity retail markets and flexibility services can be accelerated thanks to an open European market place based on standardised interactions among electricity stakeholders. The European Market Place is now open to external stakeholders, allowing them to test it for new use cases. The final event of the project will trigger discussion on the aforementioned achievements and will additionally provide an opportunity to take a look at what lies ahead emphasising on sustainable exploitation of the project outputs. 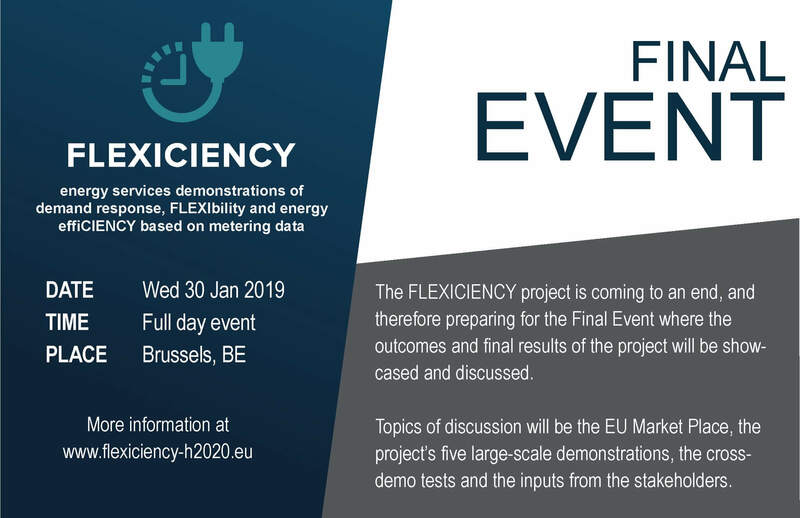 We at cyberGRID, as proud partners of FLEXICIENCY, would like to invite interested public to the final event, which will take place at Warwick hotel, Brussels on the 30th of January.